​My New Car Protection Detail consists of us applying my quality Ceramic Coating which provides from 3 years up to 5 years paintwork protection with the right after care. These Ceramic Coatings become the new surface of your vehicles paintwork and will protect your vehicle from light scratches & swirl marks. There will be no need to polish or wax your vehicle, the ceramic coatings will provide that just waxed glossy look for many years even after washing and drying your vehicle. ​My Ceramic Coatings will outshine & outlast the New Car Protection packages such as Autoglym Life Shine, GardX, Swissvax and Diamondbrite that cost from £200 - £500 plus. These packages are all to often applied incorrectly by unskilled valeters who are not given the right amount of time to apply these correctly. My New Car Protection Detail will typically take around 2 to 4 days to complete correctly, giving your vehicle the best start. Nissan LEAF which underwent my New Car Protection Detail using my 9H Ceramic Coating. 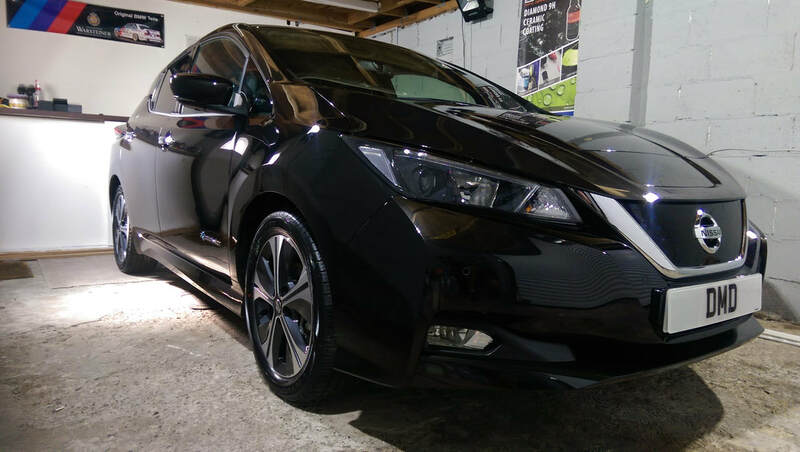 The Super Black paintwork really did come to life on this brand new car after the application of the ceramic coating protection. 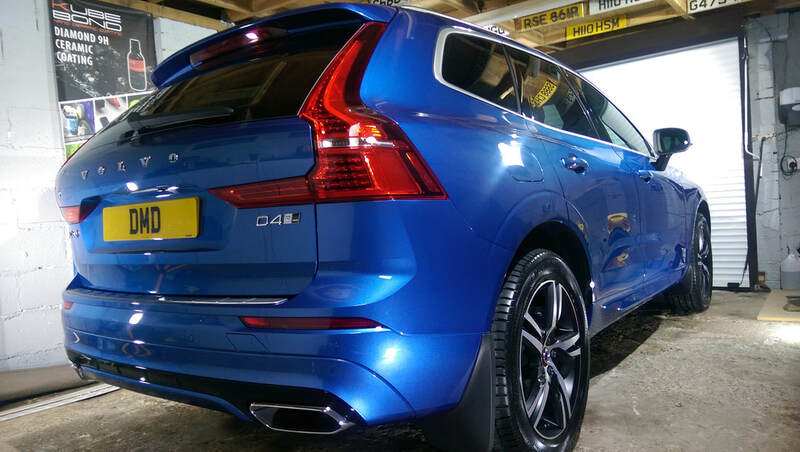 Volvo XC60 which underwent my New Car Protection Detail package using my 9H Ceramic Coating. 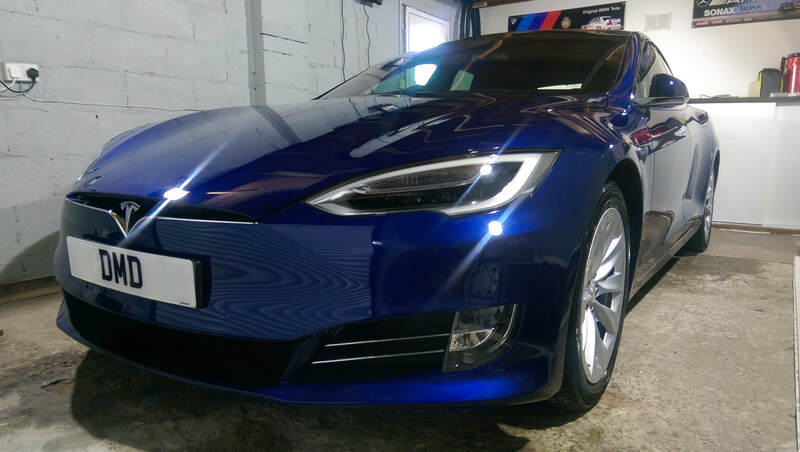 The Blue paintwork really did come to life with seriously stunning gloss levels on this brand new car after the application of the ceramic coating protection. This package is ideally suited for brand new or vehicles with less than a 1000 miles on the clock that don't require paint correction prior to ceramic coating protection. New Car Detail from £595 - 3 to 5 years paint protection. The dealership will normally charge around £200 + for their New Car Protection Package and take between 30 minutes to 1 hour to protect your new vehicle. With minimal preparation the coating will never last and live up to its so call claim of life time sealant. • Wheels are fully cleaned with fallout remover / wheel cleaner, removing brake dust and any tar spots. • Ceramic Coating applied to vehicle. Contact DMD Detailing on 07402223002 to book the New Car Protection Detail or to find out about what is the most suitable treatment for your car.